Shown 10'2" x 11'8" square. Also 8x10 to 15x19. Shown in antique ivory and gold infused with copper. 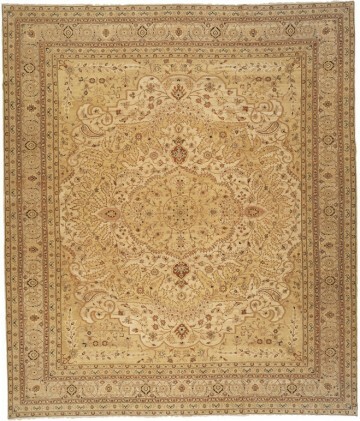 A most versatile rug, designed in the Revival style of Hadji Jalili. 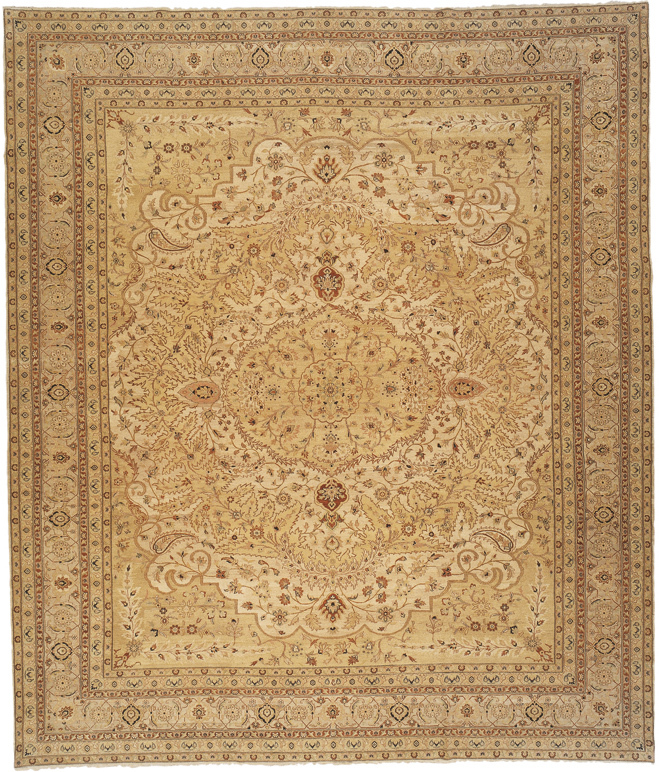 Woven of finely knotted, densely packed hand-spun wool with the popular Medallion design to make this a popular favorite for interior design in large room projects.